H. Jack Koehne graduated from the University of Wisconsin – Whitewater with a Bachelor’s degree in Business Administration in 1993. He is an Enrolled Agent (EA), enrolled to practice before the Internal Revenue Service (IRS) in all 50 states. Jack also maintains the CERTIFIED FINANCIAL PLANNER™, designation. 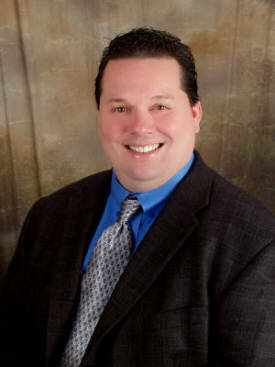 With Jack’s strong background in the past as a business manager, Koehne Accounting & Tax Solutions LLC, should provide individuals and business owners the confidence that their tax liability and projections will be minimized. At Koehne Accounting & Tax Solutions LLC , we use Ultra Tax software developed by Thomson/Reuters, which is very sophisticated up-to-date software for tax preparation, and/or forecasting, to ensure accuracy, which should provide as a great source to solve issues of concern to clients. Koehne Accounting & Tax Solutions LLC serves both individual and business clients throughout Northeast Wisconsin from Suite 4C, 3600 Velp Avenue in Green Bay, Wisconsin. As professionals with a vast storehouse of knowledge and experience, it is their relationship with you that matters most to them. You will be treated like family when you choose Koehne Accounting & Tax Solutions LLC to be your tax or accounting consultant.